It’s always difficult to start when you have come to a halting skating stop. But you have to start again, especially if it is important to you! No, I am not in for a philosophical debate, so do not stop reading as yet! What I referring to was the two weeks hiatus that I took from blogging and the lethargy that as result set in and prevented me from taking up the pen again….in this case, typing keys again! I did plan the hiatus; come to think of it, I did not even want one, but what with another weekend spent being sick and the next weekend going away for a long-planned getaway and then coming back to work with three business reviews in a row….let’s just say, there has been no time for any writing. Unless you consider making PowerPoint presentation on business strategy as creative writing and considering some strategies, well truth is stranger than fiction!! Flaubert published Madame Bovary was published as a serialized novel between October 1856 and December 1856. The plot was fairly simple, focusing on the adulterous affairs of Emma Bovary, who seeks romance and adventure away from the provincial life. 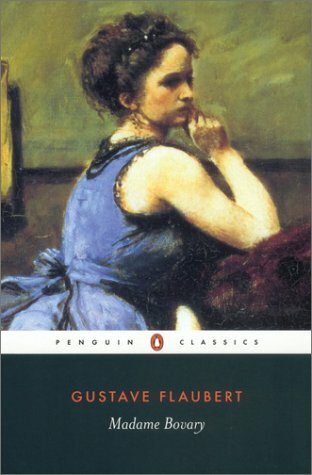 Apparently, after the publishing of the last episode, Flaubert was brought to trial for the eroticism of the novel, but was acquitted soon after. The book became an instant bestseller and is considered one of the most influential literature of 19th century. Now many are already aware that I was not particularly overjoyed on getting this book as my Spin read. I had read it in my late teens and quite disliked it. However many of you and my sister insisted that I give the book a second chance in my more “advanced” years and my sister had spent one good lunch explaining to me how the beauty of the novel lay in its details and descriptions. Thus with such encouragement and support, I valiantly ventured forth in the Bovary land! I must admit that there was a lot of truth in what all discerning readers of the novel were trying to tell me – there is enormous beauty and poetry in the description. The French countryside comes alive under the word images of Gustav Flaubert – the land, the flora, the rivers and countryside are wonderfully captivated and described that in your mind eye, you can see this part of France come alive all over again. There is again so much originality in life and habits of a provincial 18th century French town and its habitants. The book throbs and brings to life all the characters of a typical French town – Monsieur Homais, the self-aggrandizing town chemist, Leon Dupuis, the petty town clerk whose pretense for sophistication leads to endless ruin and Monsieur Lheureux, the sly merchant and moneylender. The descriptions are correct and bring to light the frailties of human nature. Towering above all of this are the characters of Emma Bovary and her ordinary husband, Dr Charles Bovary and it is around then that the novel really develops. My only ire was that I could not once again warm up to Emma Bovary’s character. I could not bring myself to empathize with her nor could I relate to her feelings of misery and discontentment. True, it was stated in the novel, that she was a woman of great accomplishment and education, but there was no evidence of her accomplishment in the book, unless one counts playing piano, decorating the house and reading novels as great achievement. I could not understand how a woman who had apparently been so well-educated could be so vacuous or frivolous – so frivolous that she sees herself getting more and more entangled in emotional and financial quagmire , but is unable to manage or improve her state of being. I mean she just does not seem to get the point, despite being unceremoniously abandoned by Rodolphe Boulanger, she again engages in a disastrous affair with Leon Dupuis. And all this, because she had married what she believed was an ordinary man???? A man whom she choose to marry to get out of the daily grind of running her father’s farm…I mean this woman needed professional help and instead the reader is supposed to feel empathy for her through 300 pages!!! Dr Charles Bovary was also difficult to digest – he starts off as competent doctor and seems to disintegrate into this mass of low self-esteem and ridiculousness. How can a man be so completely be oblivious in a small town of his wife’s adulterous propensities is beyond me! And on finally discovering her affair, and giving oneself up to complete despondency, when you still have a daughter to care for is again something I could not fathom or understand. In the end, it’s all so depressing – Emma Bovary’s painfully self-inflicted death; Charles Bovary dying and their daughter being left destitute! I need a glass of wine and couple of Saki stories to restore a more tranquil phase of mind! I know there are some wonderful tragedies that have been written, but Madame Bovary is just plain painful. I do not like it….not even in my advanced years! ← Sigh! Sneeze! Woes betide…grief is me!!! I almost think that was the impression Flaubert expects from his readers. Not one character is likable in the entire novel. We’re supposed to walk away disgusted. In that case, Flaubert was successful. Hi Ruth…you must be right…however I cannot help feeling that there should be some hope, some sign of goodness, some resurrection of character….I mean mankind cannot be all mean, incompetent or despondent! I took Emma to be a girl born into ordinary circumstances but perhaps with exceptional beauty – a kind of “prettiest girl in the trailer park” who aspires to climb the social ladder and ascend to an elite lifestyle, which is why she married a doctor. Once she realized he was a mere family physician in a small town, she simply offered herself to whichever guy gave her attention in an effort to feel special. I don’t know that the reader is supposed to like her. But I do know a lot of women who, like her, make bad, attention-seeking choices. She wanted the grandeur and adoration that comes with being a strong, empowered woman but lacked the actual strength and integrity of character to do so. I took her story as a kind of lesson – a telling of the tragic consequences that come from such poor, misguided choices. I didn’t like her husband either and didn’t understand him at all. I guess he was just blinded by his love for her. I’m glad you stuck it out and at least enjoyed the imagery and beautifully-worded details! Hi Nikki…I do understand what you mean by it being a lesson for many women and I do agree that a lot of women are like that…but my point is that while Flaubert set out to show the more the morbid and inconsistent side of mankind, the fact remains that this is the same mankind which is capable of great dignity, kindness and fortitude and too show everything as all black with no shades of white or even grey is somehow in my eyes an incomplete portrayal of mankind! Thank you for the encouragement though…hope you are getting on well with your list! Great post! I studied this novel in my college literature studies, and the thing that strikes me the most is that the original language that this novel was written in is French. A lot of the beauty that Flaubert originally prosed seems to have been lost in the translations. I do not know why we bother to read it when it’s original intention was to retain its beauty in French. My professor was a French Literature buff, thus the odd choice. Yes, this novel is undoubtably a classic. But maybe not in the way we assume it is. I agree with almost all of your thoughts on the characters in the book. I did not enjoy the reading, and agree with the disappointment in the portrayal of mankind by Flaubert.